Welcome to The Gardens at Laguna Springs, where those living with the challenges of memory loss are welcomed to a world founded on loving care, modern dementia practices, and urban sophistication. 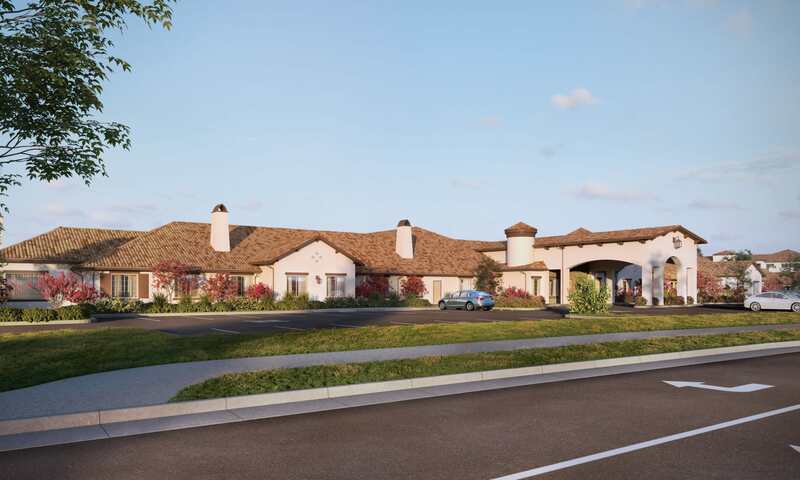 Laguna Springs is the premier memory care community in the city of Elk Grove and its surrounding Sacramento region, delivering world-class service, compassionate care, and supportive amenities. The Gardens at Laguna Springs were founded on the belief that everyone deserves their highest quality of life. We foster that belief with a loving environment, engaging activities, and a professional staff, dedicated to serving our community members with patience, kindness and above all compassion. With nurses on site twenty-four hours a day, family-style meals, a pet-friendly environment, and maintenance-free apartment living, our residents receive the best in care while enjoying arts, music, and activities—in a luxurious setting—with the loving patience and devoted care that makes it possible. At Laguna Springs, we are committed to making these precious years fulfilling and enjoyable, no matter what the odds. If your loved one is just in the beginning stages of Alzheimer’s, dementia, or needs more one-on-one care, The Gardens at Laguna Springs Community will be the perfect alternative to a skilled nursing environment. Trained professional staff and licensed nurses will be onsite 24 hours a day, 7 days a week to meet the specific needs of each person and remain committed to bringing dignity, respect and the highest standards of service to all of our ‘family members’. Whether for a short respite stay or for a lifetime, our family will take care of your family. The Gardens at Laguna Springs Memory Care Community is located in the city of Puyallup, a quaint community just east of Tacoma and Puget Sound. The Gardens at Laguna Springs offers the best of memory care practices, a compassionate staff, and a community tailored to create happiness. Schedule a tour to discover everything there is to love about living here.